The People's Democratic Party (PDP) said on Monday that former President Olusegun Obasanjo will return to his ranks almost four years after leaving the party. Kola Ologbondiyan, the party's National Publicity Secretary, said the former president's support for Alhaji Atiku Abubakar, the presidential candidate of the PDP, was not an indication that he had returned to the party. He said that if Obasanjo decides today to join the PDP, he will immediately receive a new membership card. He said the search for President Muhammadu Buhari in 2019 through the ballot box went beyond the political parties, adding that Nigerians from all walks of life have gathered behind the PDP and realized that this is the true platform through which the mission can be realized. He said: "We are not here yet to ask if we can give former President Olusegun Obasanjo a new ID card, and former President Obasanjo said he was a statesman, and he has a desire to return to our party , not indicated, I'm sure if he does it today, he'll immediately get a party card. "The desire to take Buhari out of power is a pan-Nigerian movement, with many Nigerians from all walks of life struggling to remove him from office because of his incompetence, and his Nigerian presidency failing. "Well, the decision has no party, it's a pan-Nigerian movement, but because the task can only be achieved by a political party and because the PDP has repositioned and renamed and reformed, Nigerians are gathering across party lines our party to remove President Muhammadu Buhari power through the ballot box. " 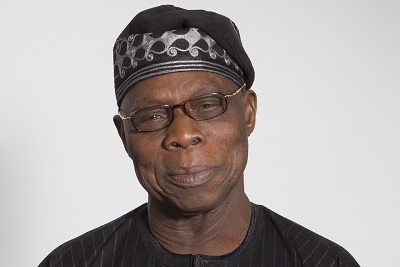 Obasanjo, it is said, handed over its PDP membership card in February 2015 to the Ward-11 leader of the local government in Abeokuta, Alhaji Surajudeen Oladunjoye, and ordered him to rip it. He said that if his involvement in party politics kept him from having a better Nigeria, he was willing to sacrifice membership in the PDP and become a statesman.